Home / alqueria / banana beach davao / best bites / blugre coffee / davao food trip / dessert / durian / food / goen ramen / ice cream / indulgencebyirene / lists / outback / ramen / splice / tablea / The Foodie / Best Bites Returns! Hi, foodies! 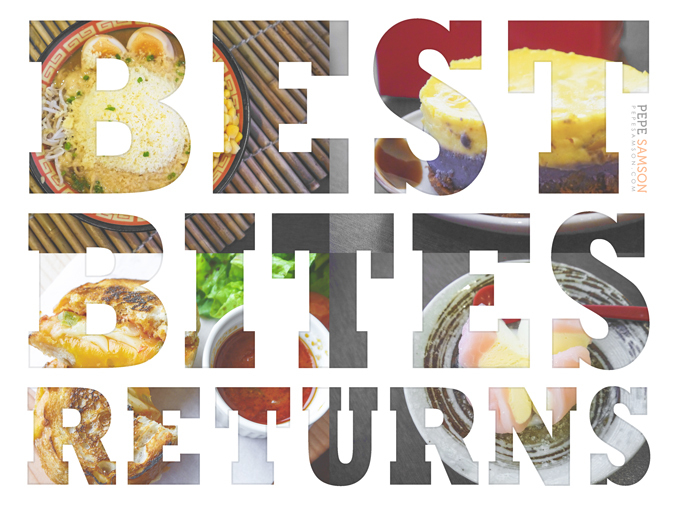 You’re probably wondering why I brought back Best Bites in this blog. Actually, the term “bring back” isn’t appropriate because the series never really disappeared—to be honest, I just became too busy and totally forgot about it, haha! Maybe a better word would be “resurrect”. So for the Best Bites comeback, I’ve compiled the yummiest food finds I had from my trip to Davao, as well as my restaurant-hopping in Manila! This covers the months of July and August. Enjoy, and please leave a comment regarding your own recent discoveries! It’s no surprise she’s been dubbed as the “Queen of Cheesecakes”—she simply makes some of the best renditions in Manila. 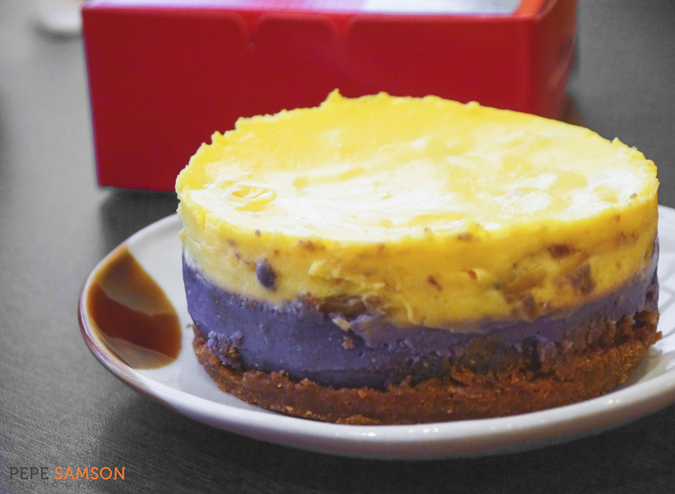 Irene Co, the home-based seller behind Indulgence by Irene, has launched a new flavor: the Halo-Halo cheesecake—a fusion of two her signature cakes, mais and ube. Wedged between these layers is a slather of langka jam, completing the Filipino-inspired creation. Get more than one box because THIS IS FOR HOARDING, NOT FOR SHARING. Grated cheese on your ramen? You bet! Go-En Ramen, a discreet Japanese restaurant in Quezon City, makes one of the most interesting ramen flavors I’ve had. 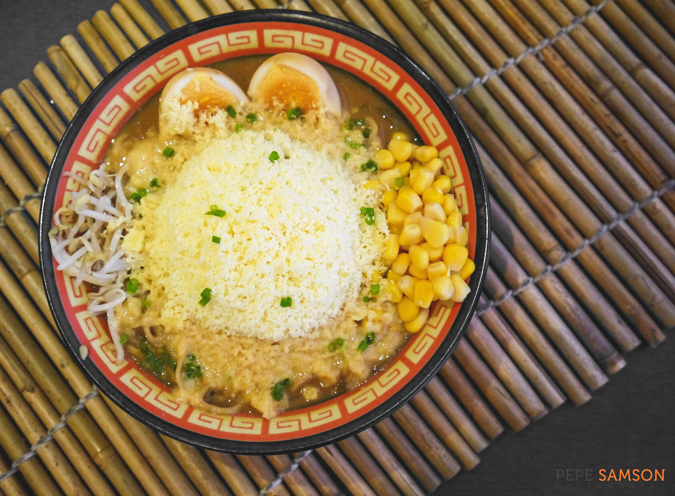 The broth is miso-based, and the bowl comes with moyashi, ajitsuke tamago, corn, and minced pork, then topped generously with cheese! Wait until it all melts and becomes butter-like—only then will you have the most mind-blowing ramen experience ever. 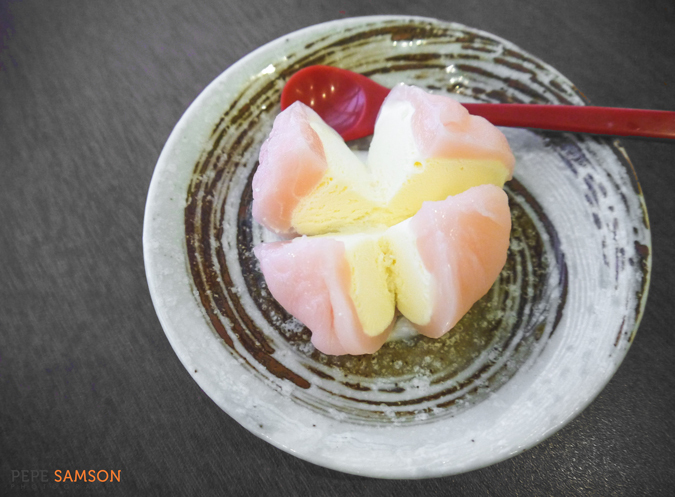 The mochi I’ve grown to know is super sticky, super sweet, and challenging to chew, but at Go-En Ramen I’ve tasted the only mochi version worth eating. A thin mochi sheet encases homemade vanilla ice cream. The sweetness level? Just enough for you to finish one whole ball by yourself. Or two. Or three. 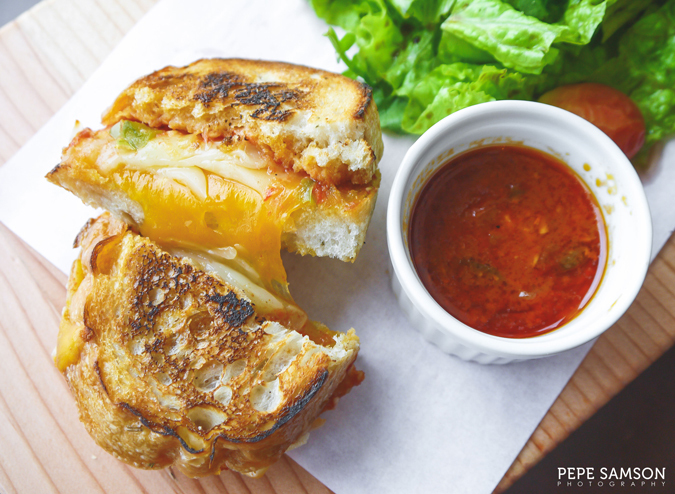 Grilled cheese sandwiches are comforting (especially when paired with tomato soup, yum! ), and at Alqueria you will find one of the best of its kind. Manchego and cheddar are packed innocently in between slices of bread, as well as a delicious layer of tangy tomato salsa. The gooey texture from the cheese, the crisp from the bread, and the tangy bite from the tomatoes make this a highly gratifying sandwich! This dish has got to be the best pork belly I’ve ever had. Cooked for 8 hours, the meat is to tender and practically melts in the mouth—promise! Smoky and salty flavors fuse together, making it a perfect pair with rice—I’m sure any of the dirty rice or the pandan variant would do. On the side is balsamic vinaigrette that further brings out the pork’s flavors. I’m getting hungry so please make me stop describing and just try this! As a resort-slash-plantation known for manufacturing the best Cavendish bananas in Asia, Banana Beach naturally had to incorporate their products into their restaurant menu. Who’s complaining? Their banana ice cream, made in-house, comes spiked with a variety of flavors. Try the Tablea-Banana—a delicious, rich concoction that showcases a balance of both ingredients. 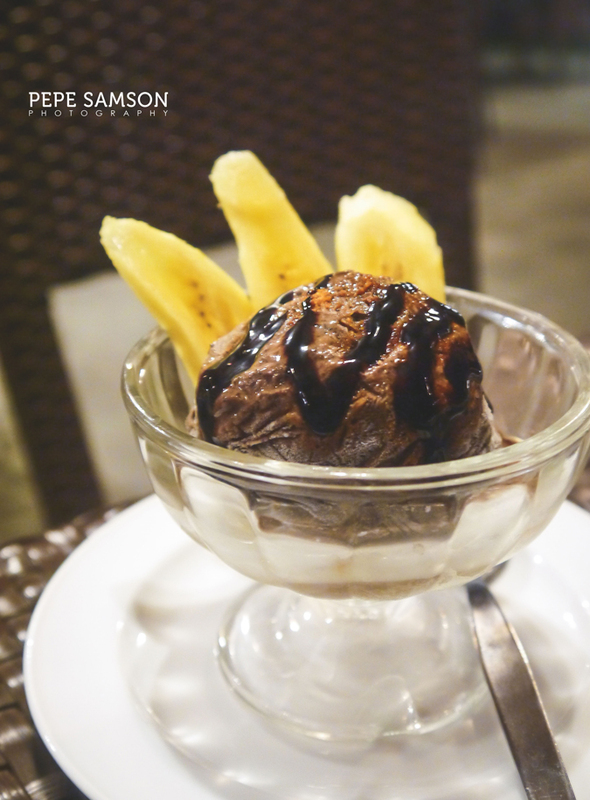 When you’re in Banana Beach, you know what to order, dessert junkies! Who doesn't love yummy seafood when visiting the province? These things are just many times better, fresher, and tastier when they're not from Manila. 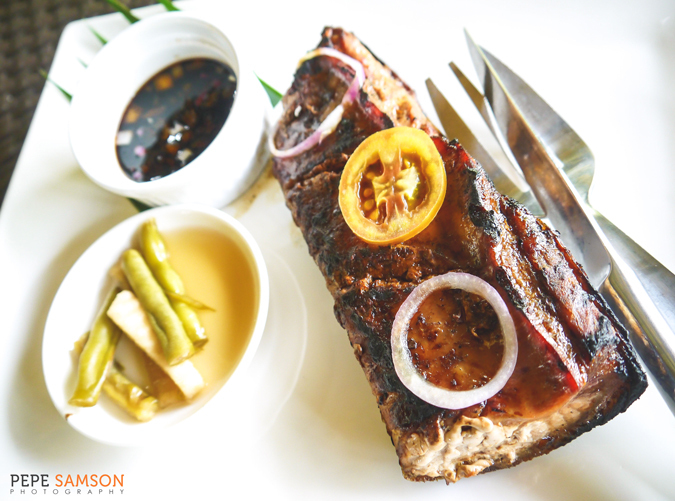 For instance, Banana Beach Davao's Grilled Tuna Belly! This huge slab of flavorful marine perfection is meant to be shared by two to three people, but I must have eaten the entire thing! #Sorrynotsorry. 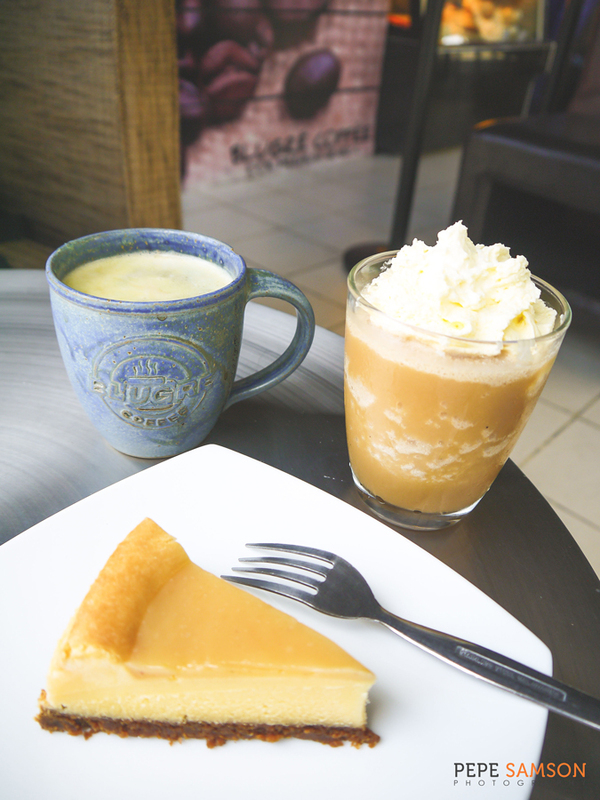 While Blugré is primarily known for its durian-infused beverages, one should also try their desserts—like the Durian Cheesecake. It doesn’t matter if you love or hate the fruit; this cheesecake features a layer of what tastes like a blend of durian jam and dulce de leche—the latter almost masking the taste of the fruit, allowing only a hint to shine through. The cake is dense and rich, perfect with hot coffee. There’s nothing really special with this dish, but somehow Outback Grill in Davao City nails it and executes it so well. 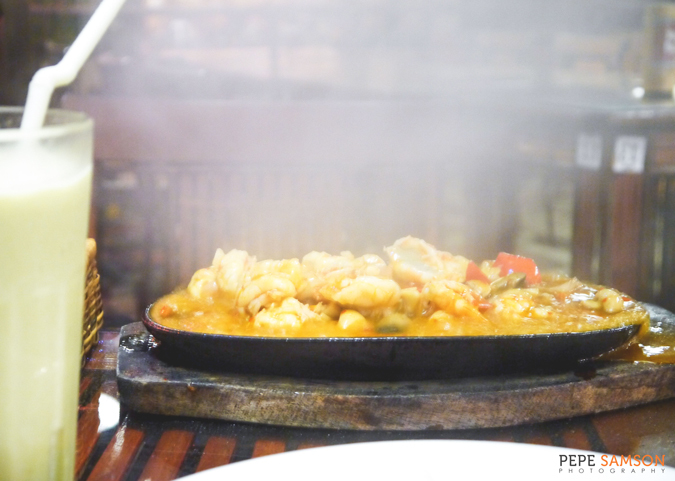 Mushrooms, garlic, bell peppers, and plump shrimps sit atop a sizzling plate, along with a savory sauce that would just get your appetite going. 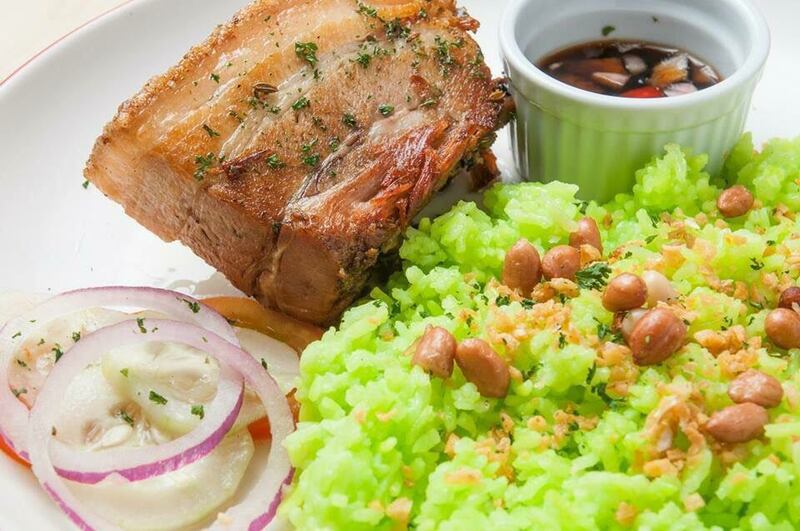 Perfect as an ulam or as pulutan, this dish was pure addiction. What are your recent food discoveries?